Volker Beckers graduated from Cologne University in Economics/Business Administration. With more than 20 years’ senior experience within the energy industry, he has a comprehensive knowledge of European energy markets. 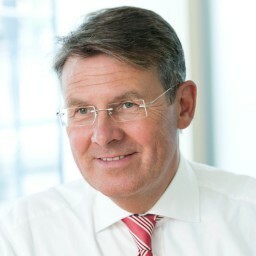 Volker was Group CEO, RWE Npower plc until the end of 2012 and prior to this, its Group CFO from 2003 to 2009. He has worked in a variety of trade and industry bodies, including the CBI President’s Committee, on the Board of the German-British Chamber of Industry & Commerce, and since 1999 as Deputy Chair of the Executive Commercial Management Committee at the German Association of Energy and Water Industries (BDEW) and was also member of the Executive Committee of UKBCSE (now Energy UK). He held a number of non-Executive directorships including HM Revenue & Customs where he chaired the Scrutiny Committee. Since 2009 he chairs the Business Energy Forum at Energy UK. Volker’s current activities include: • non-Executive Chairman, Cornwall Insight Ltd. • Vice-Chairman Member of the Board of Directors, Danske Commodities A/S • Chairman of PwC UK Advisory Council • Non-executive Director, Nuclear Decommissioning Authority • Non-executive Director, Elexon Ltd • non-Executive Chairman, Albion Community Power plc • non-Executive Chairman, Reactive Technologies Ltd. • non-Executive Chairman, Foresight Metering Ltd. • Director and Honorary VP, British Institute of Energy Economics Volker currently sits on the Advisory Board of the EU Centre for Energy and Resource Security (EUCERS) at King’s College, and is Chair of the Advisory Board with Erasmus Centre for Future Energy Business (ECFEB), a specialist research centre at Rotterdam School of Management. In 2014 he joined the Board of Trustees of Forum for the Future. He is also a member of The Worshipful Company of Fuellers and a Fellow of the Energy Institute (FEI). Further, he works for a couple of charity organizations and fund his own family trust supporting charitable initiatives (German Heart Foundation etc).